It’s hard to believe, but your dog can actually drink too much water. Water intoxication, while rare, can cause hyponatremia, a condition which can be life-threatening due to low sodium levels. Playing in the water for long periods, drinking from hoses and sprinklers too long can be hazardous to your dog. When too much water enters the body, fluids are diluted upsetting the electrolyte balance. Sodium levels in fluid outside the cells are lowered. Sodium maintains blood pressure and nerve and muscle function. The body makes an effort to balance sodium levels in the cells which in turn causes them to swell. Cells in the brain and nervous system are affected too. Symptoms of excess water consumption can be loss of coordination, lethargy, dilated pupils, glazed eyes, pale colored gums, excessive drooling. If the condition is severe, signs are difficulty breathing, collapse, seizures, coma and death. Treatment includes an IV with electrolytes and diuretics to reduce brain swelling. 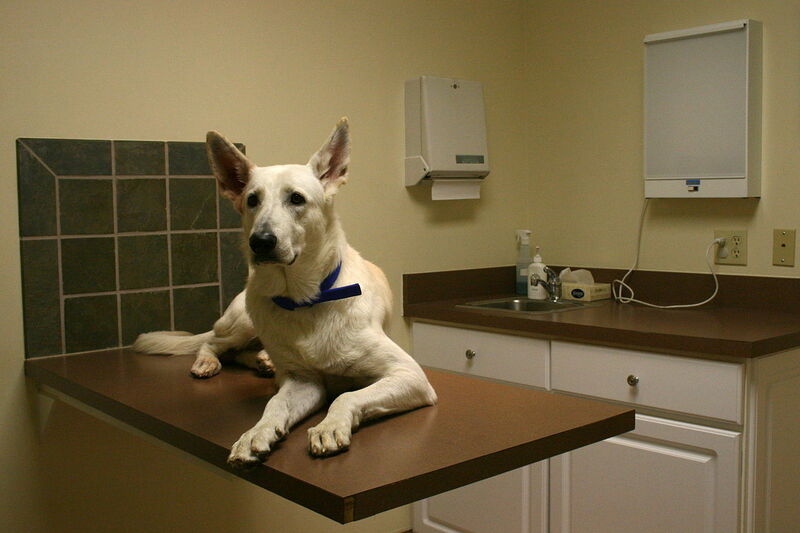 It’s vital that you take your dog to the vet immediately to receive treatment as it can save your dog’s life. Water toxicity can occur in any breed or size dog. To prevent water toxicity, supervise your dog’s outdoor activities. Limit the amount of water playtime. 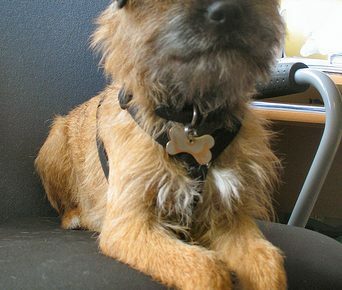 After exercise, if your dog finishes the water in his/her bowl, don’t refill it until your dog has rested for a while. If you and your dog are beach enthusiasts, salt water ingestion can pose a major threat as well. This condition is called Hypernatremia or salt poisoning. Symptoms are similar to those of water toxicity including vomiting, diarrhea, then quickly progressing to severe brain swelling, loss of coordination, seizures. Immediate medical attention is necessary to save your dog’s life. Always be sure to take fresh water for your dog with you when going to the beach.